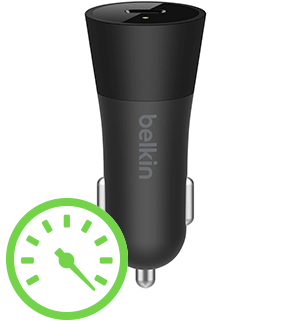 Belkin has just announced the launch of its new USB-C Car Charger with fast charging capabilities for the iPhone X, iPhone 8 and iPhone 8 Plus. Delivering 36W of power, the charger is capable of fast charging all compatible iOS devices when using a USB-C to Lightning cable, which must be purchased separately and is not included with the charger. The charger is available for purchase now on Belkin.com and at Apple stores for US $29.99 (CAD pricing will be updated once available). Update: Belkin has told iPhone in Canada the Canadian MSRP for this accessory will be $39.99 CAD.